Tract hemorrhage grading scale adapted from Ko et al. Ko JK, Cha SH, Choi BK, Lee JI, Yun EY, Choi CH. 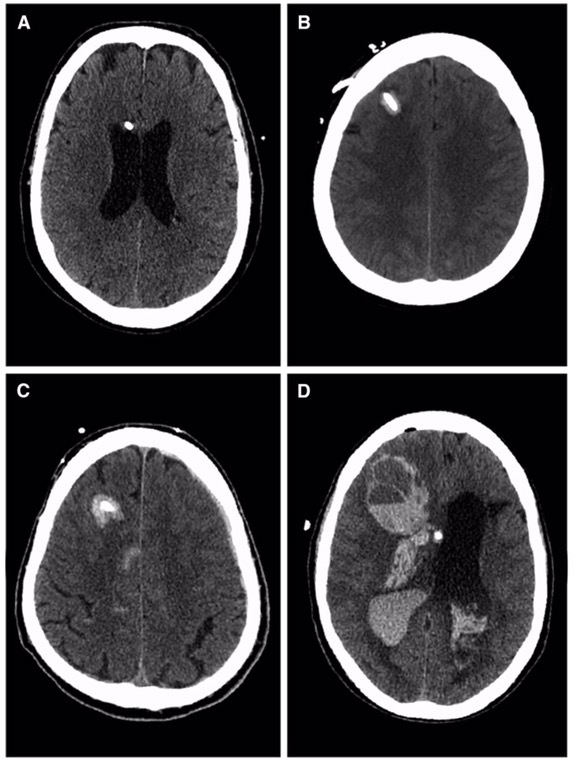 Hemorrhage rates associated with two methods of ventriculostomy: external ventricular drainage versus ventriculoperitoneal shunt procedure. Neurol Med Chir. 2014;54:545–51.